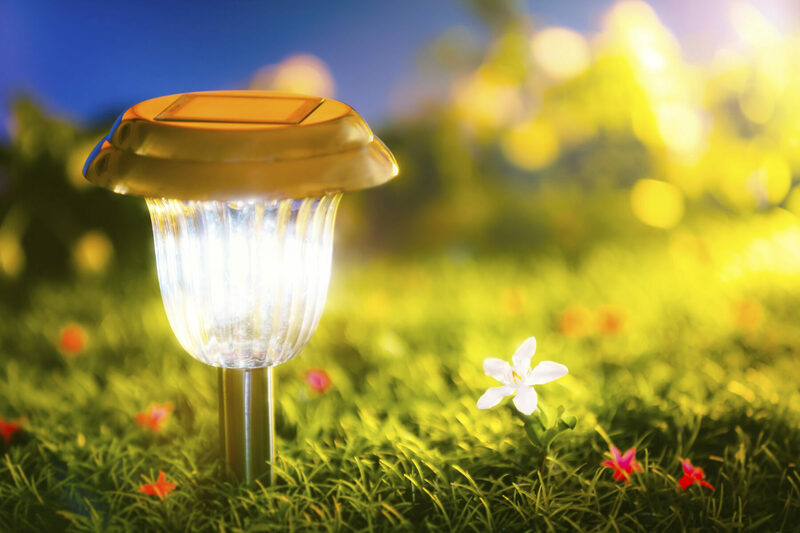 If you’re looking to brighten up your Virginia home’s exterior (both figuratively and literally) during the colder, darker months of the year, you might want to consider employing outdoor landscape lighting. Outdoor lighting can be used to increase the useable area of your Virginia property during the night as well as your home’s security. Of course, there are a wide variety of outdoor lighting fixtures to choose from and each serves a unique function. The Atlantic Maintenance Group is here to help you find the type of outdoor lighting fixture that’s right for you. Floodlights emanate an intense and widely spread beam of light, that’s incredibly effective at providing intense illumination over a large area. Their thorough coverage makes them ideally suited as security lighting instruments. Floodlights are great for making your Virginia home safer during the night and can be linked to motion sensor to expose (and ideally scare off) any unwanted, nocturnal intruders. Floodlights are typically placed roughly 9ft high, which helps them cover as much area as possible and keeps them out of the reach of ne’er do wells. If you’re looking for something less intimidating and more aesthetically functional, you might want to consider installing wall mounted outdoor lighting instruments. These soft and welcoming lights are typically used to highlight specific areas of your Virginia home’s architecture, and can also be used to bookend doorways and windows. These ceiling mounted outdoor lighting fixtures are usually installed above an entryway or an outdoor gathering point, such as a patio, and come in a dazzling array of shapes, sizes, styles, and color. They can be a simple and quirky as a lone, hanging light bulb, or as ornate as an antique lantern. This type of outdoor lighting instrument is well-suited for places with low ceilings, providing subtle accent lighting or focused light on a small area. This type of outdoor lighting fixture is usually employed to create a visually pleasing guide for any walkways or paths that run across your Virginia landscape. This is particularly useful during the night when guests may have trouble discerning where a path lies and could stumble off. These small lights are typically styled to look like small lampposts but can come in a wide variety of designs and configurations. Call the Atlantic Maintenance Group! We have access to all of these types of Outdoor Lighting instruments and more. Our experienced landscape lighting professionals will help you find the perfect solution to illuminating your Virginia yard. The Atlantic Maintenance Group is your source for complete landscape and facility maintenance for commercial and residential properties throughout Maryland, Virginia, Pennsylvania and Delaware. Our highly trained team of professionals receives constant, ongoing education on the latest industry trends, updates and safety measures. This ensures we can deliver outstanding customer service and results to our clients, regardless of the size of your job. This entry was posted on Thursday, January 8th, 2015	at 3:13 pm	and is filed under Blog, Exterior Lighting	. You can follow any responses to this entry through the RSS 2.0	feed. Both comments and pings are currently closed.